Jersey RFC have announced the signing of five new players for next season. Former Northampton Saints scrum-half Ryan Glynn is among the new arrivals, alongside Dragons back Lewis Robling and Nottingham prop Harry Williams. 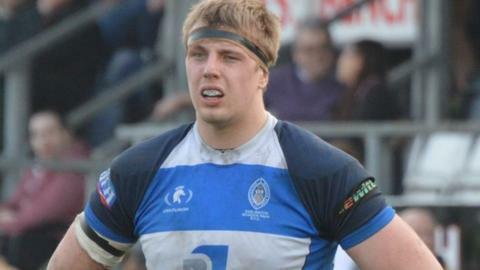 Darlington Mowden Park lock Pierce Phillips and Australian centre Tobias Hoskins also join Harvey Biljon's team. Additionally, five existing squad players have signed new contracts; Joe Buckle, Nick Campbell, Joel Dudley, Mark McCrea and Aaron Penberthy. The news comes a week after props Danny Herriott and Ben Rogers also signed for the club for next season. Glynn's move to Jersey comes after three years of dual registration with Moseley, while Hoskins, 24, has experience with Perth side Western Force Super Rugby. Aged 22, 21 and 22 respectively, Robling, Phillips and Williams complete a youthful quintet of new signings. Jersey face a battle to ensure their new signings will be playing Championship rugby next season as they currently sit three points above bottom-placed Ealing Trailfinders with just two matches remaining.